La Poiana Farm Holiday lies on hills of the Maremma Park, a few kilometres from the sea. The colors of your holiday will be the green of the Morellino di Scansano vineyards, the most intense green of the olive trees that characterize our farm and the shades of yellow and brown of the cultivated fields. 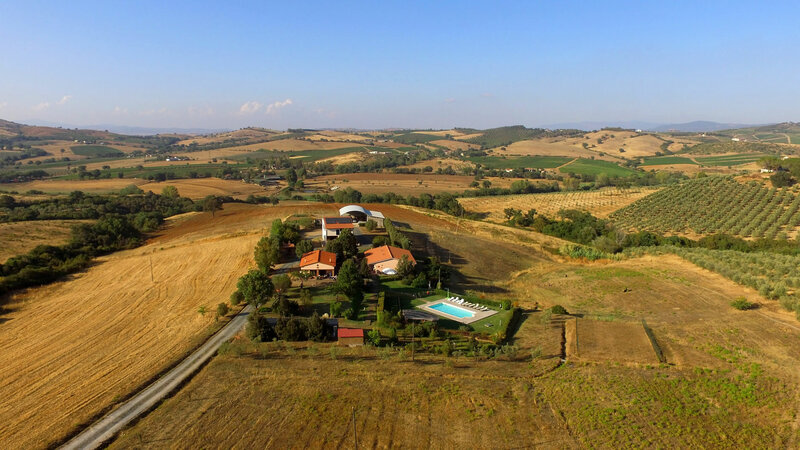 In our farm you’ll find the tranquillity of a holiday far away from the crowded locations, in the countryside with the sea just a few kilometres and a wanderfull view over the hills of the Maremma Tuscany, to enjoy in total relax your holiday period. The location of the farm allows you to quickly reach the most characteristic places of the Maremma: parks, nature reserves, WWF oases, Castiglione della Pescaia, Argentario and Città del Tufo.